The Danish Society for Nature Conservation works hard every day to help nature flourish and to achieve and maintain a clean and healthy environment. Marketing Manager at the Danish Society for Nature Conservation Lone Gudiksen Møller explains: "In our organisation, we pay attention to opportunities for doing even more to benefit the environment." In the context of environmental protection we became aware that KLS PurePrint is one of only two printing Companies in the world, to achieve a Cradle to Cradle certification. It is now possible, with assurance of being environmentally friendly, to produce biodegradable printing. In 2015, KLS PurePrint was Cradle to Cradle certified at the BRONZE level based on the company's handling of sustainability in the areas of materials, recycling, renewable energy, protection of water resources, and CSR. This year’s audit, however, made it clear that our sustainability related work continues to deliver results. That is why KLS PurePrint is now certified at the SILVER level. 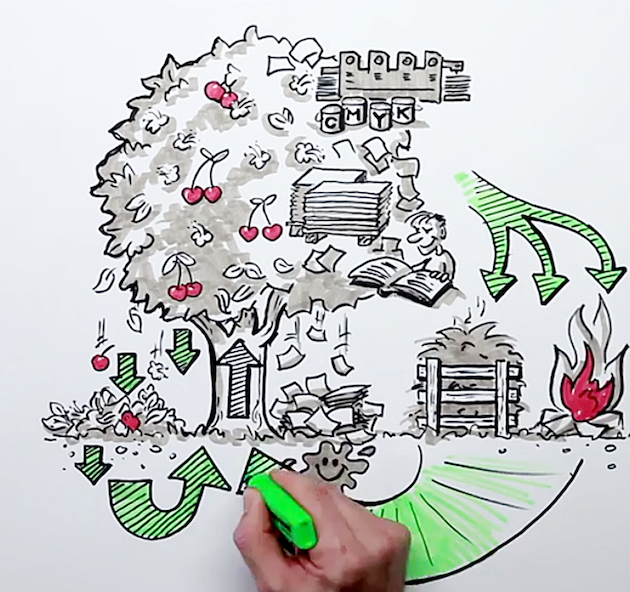 The brief video on "circular economy" and the Cradle to Cradle certification has been viewed over 1600 times on YouTube. At KLS PurePrint, we began the work on becoming the world's greenest printing house back in 2008. Today our company is one of only two printing houses in the world demonstrating 100% sustainability in all materials and processes in the form of its proprietary product PurePrint. In order to emphasize this, our company name has been changed to KLS PurePrint. We have developed our own plant based inks, and we use environmentally friendly biodegradable paper exclusively. 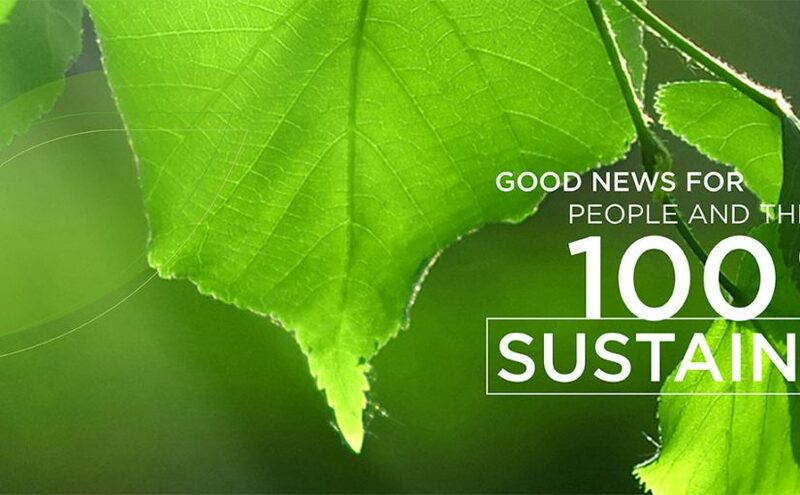 Therefore, you may add our 100% biodegradable printed materials to the soil in your vegetable garden. "That's how pure they are," says Knud Erik Larsen, Managing Director and co-owner of KLS PurePrint. Minimize waste by giving your roll-ups and banners new life. KLS PurePrint offers to recycle them by transforming them into high quality products. 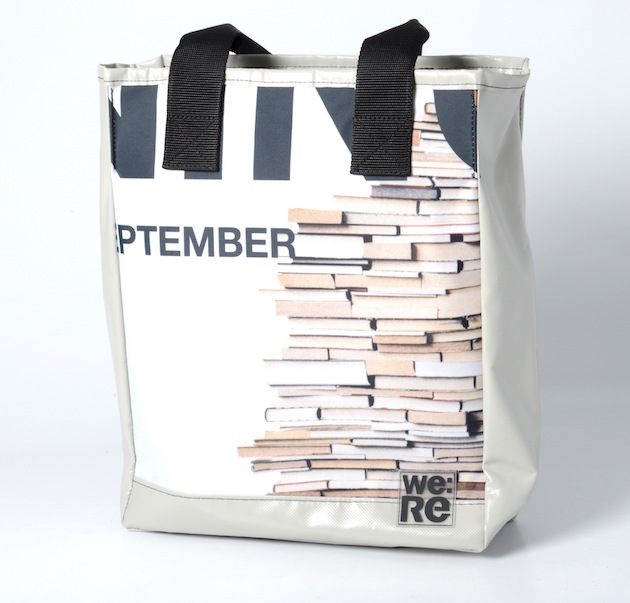 For example, when advertising banners are no longer going to be used, we collect them and turn them into unique products with a story to tell. We recreate the value of the old product in a new product doing new things. All products are unique and made from recycled materials.